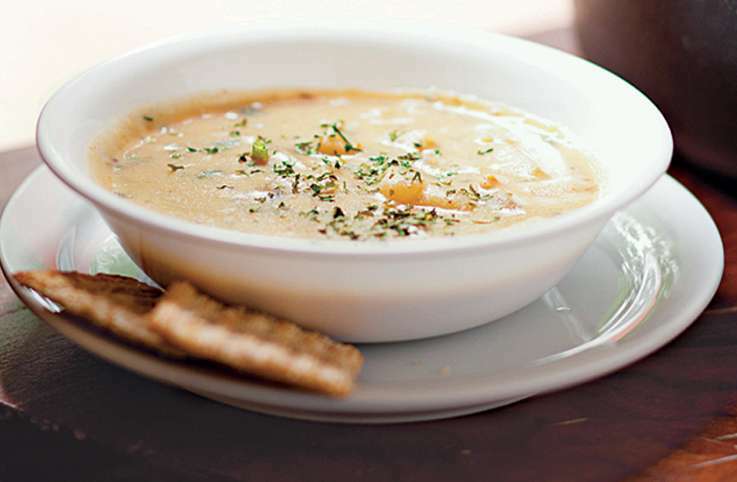 By leaving out the cream, subbing cauliflower for most of the potato (using one potato locks in the flavor), and adding a dollop of reduced-fat cream cheese to deliver the creaminess and cheesiness, this hearty and satisfying soup is made healthier and lighter. 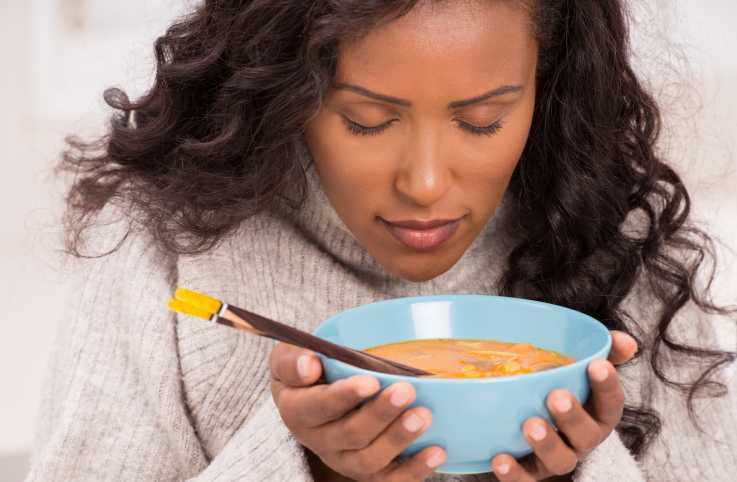 A stealth addition of one carrot adds a subtle color that makes the soup seem cheesier than it is, since the only Cheddar here is what sits on top of the soup! 1. Add the bacon to a large soup pot set over medium heat and cook until the bacon is crisp, about 7 minutes. Use a slotted spoon to transfer the bacon to a paper towel–lined plate and set aside. 2. Stir the onion into the bacon fat and cook, stirring often, until it is translucent, about 3 minutes. Add the cauliflower, potato, carrot, garlic, salt, and pepper and cook, stirring occasionally, until the vegetables begin to soften, about 5 minutes. 3. Raise the heat to medium-high, add the broth and 1 cup water, and bring the liquid to a boil. Simmer the mixture until the vegetables are very soft, about 13 minutes. 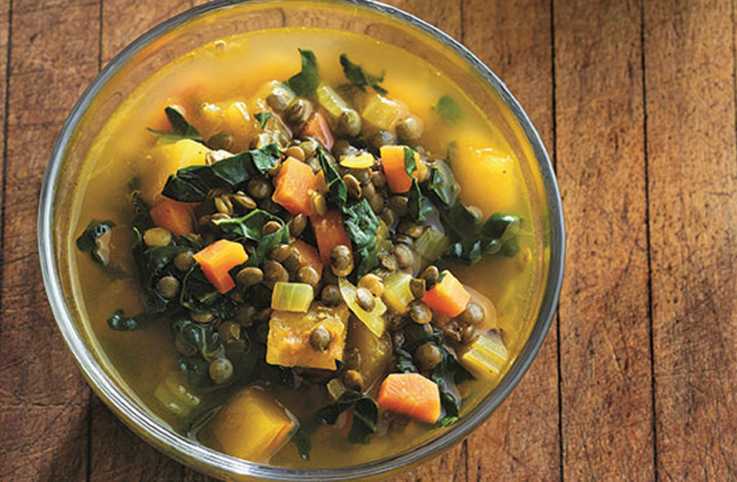 Turn off the heat and use a ladle to transfer half the vegetables and liquid to a blender. Add the cream cheese and blend until smooth. 4. Pour the puréed soup into a large bowl or clean saucepan. Blend the second half of the soup until it is smooth and add it to the first batch. Heat the soup over medium heat until it is warmed through. 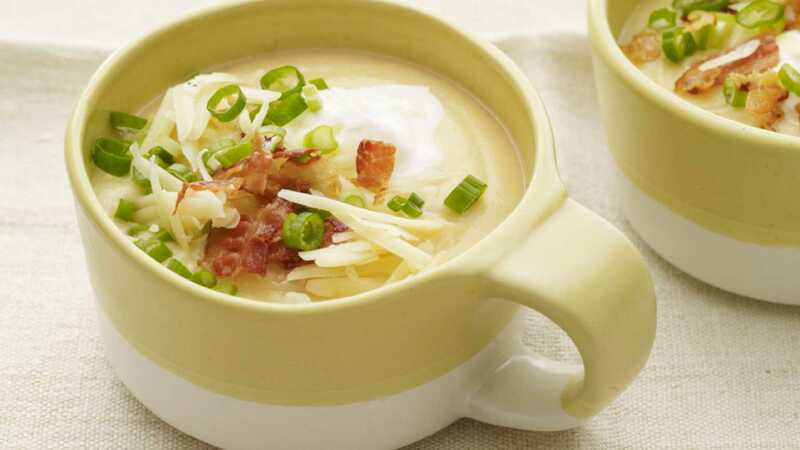 Divide among soup bowls and serve topped with a dollop of yogurt and some of the grated cheese, bacon, and scallion. Nutritional Information: Calories: 187; Fat: 10g; Dietary Fiber: 3g; Sugars: 36g; Protein: 10g. Try Melissa's recipes for Broccoli-Ribbon Fettuccine with Parmesan and Spicy Honey-Mustard Chicken! Read Melissa's story about her work for the cause of suicide prevention. 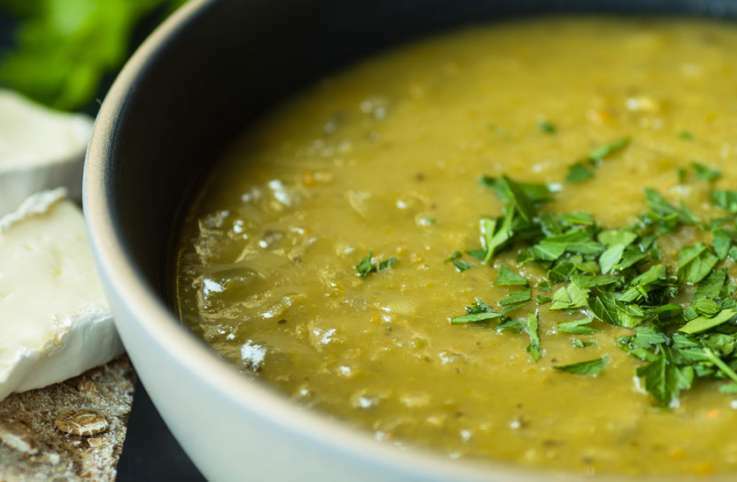 This recipe is excerpted with permission from Supermarket Healthy: Recipes and Know-How for Eating Well Without Spending a Lot (Clarkson Potter, 2014).